Handique Girls’ College is situated on the western bank of the picturesque and the historic artificial pond, Dighalipukhuri in the heart of Guwahati. It is one of the oldest girls’ colleges in the north eastern region of India. The College was established by the late Rajabala Das, who was also its first Principal. This visionary lady was convinced that in a country striving to achieve independence, nationhood would require women to occupy their rightful place in the society and, therefore, women’s education, was a priority. The courage of her convictions saw Guwahati Girls’ College begin in the premises of Panbazar Girls’ High School, in 1939, with just two students on its rolls. In her endeavour to further the cause of women’s education, the late Rajabala Das was fortunate to have the support of the late Radha Kanta Handique, who made generous contributions towards setting up of the College in its present campus, in 1940, and its affiliation to Calcutta University in the same year. The College was later renamed as Handique Girls’ College as a tribute to this great philanthropist. Since its inception, Handique Girls’ College is uniquely privileged in having a series of eminent, dynamic and visionary Principals and members of Governing Body, dedicated to the cause of higher education for women. 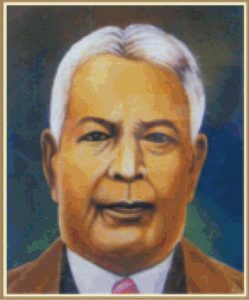 The following have been the Principals of the College: the late Rajabala Das (1939-1965), the late Sarat Chandra Goswami (1965- 1974), Mrs. Ahmeda Rasul(1974-1984), the late Dr. Ratna Kanta Baruah (1 984-1 992), Mrs. Priti Barua (in-charge, 1992-1 993), Dr. (Miss) Saraju Das (in-charge, 1993-1 994), Dr. Gagan Chandra Baruah (1 994-2000), Miss Senehi Begum (in-charge, 2000-2002), Dr. (Mrs.) Mridula Mazumdar (incharge, 2002-2004), Mrs. Geeta Barua (in-charge, 2004),Dr. (Mrs.) Indira Bardoloi (in-charge, 2004-2014),Dr. Santana kakaty(in-charge, Augst 2014-October 2014),Mrs. Nirmali (in-charge, November 2014- December 2014). The present Principal of the College is Dr. Utpal Dutta. Today the College offers Higher Secondary as well as Three Year Degree (TDC) courses in two streams: humanities or the arts and the science, apart from some professional and self financing courses. The College also offers post graduation (PG) Course in Assamese.